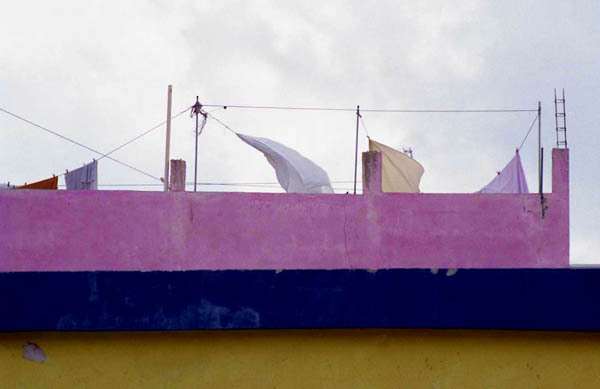 As I composed these images, wonderful childhood memories came back to me. 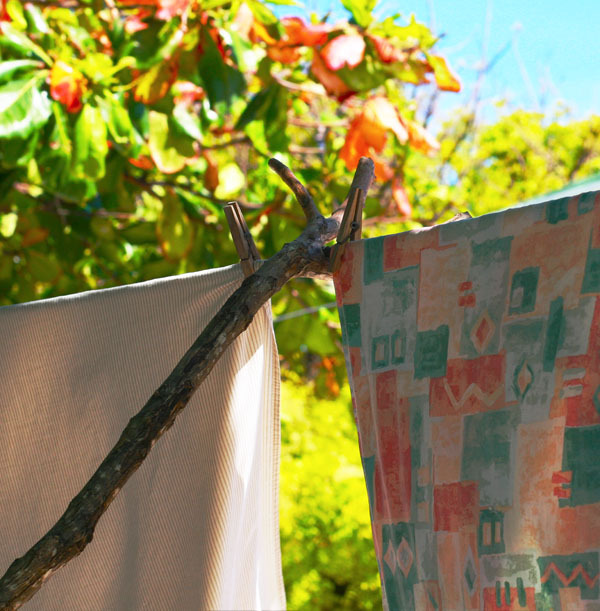 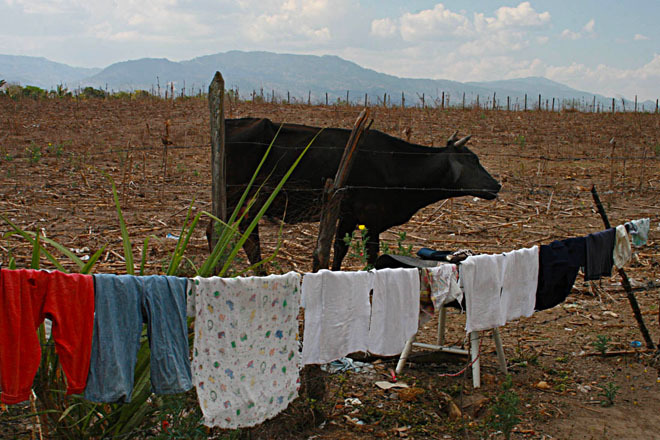 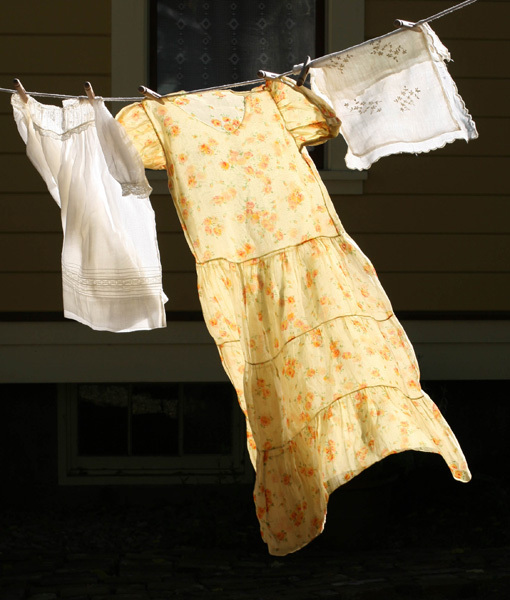 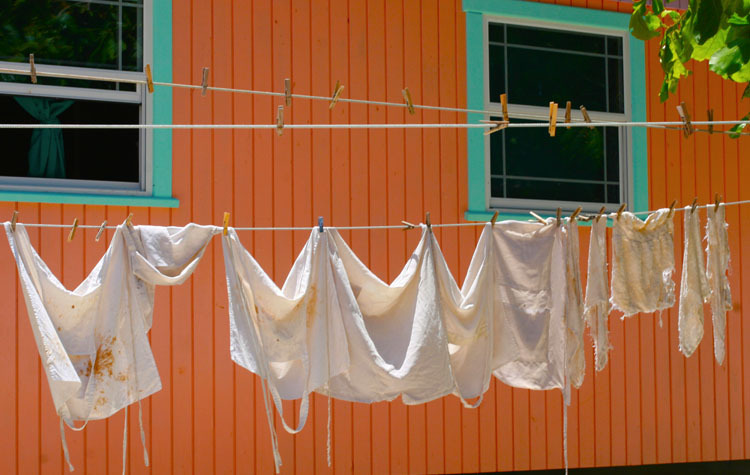 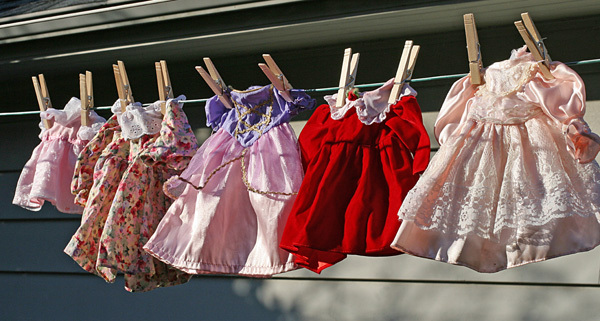 I would lay beneath the laundry line, in early morning, while my mother took the pieces of laundry from the basket, gently shaking each item out as she secured it onto the line with a clothes pin. 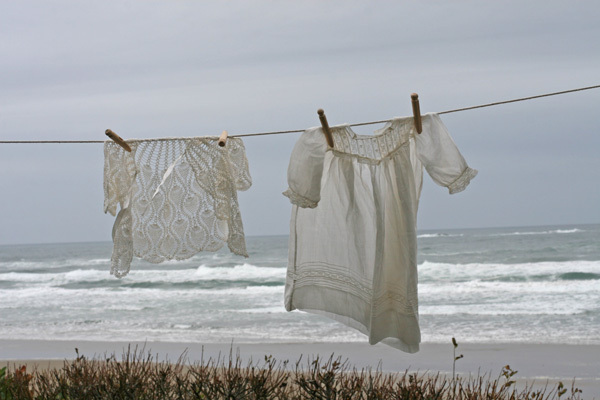 I remember hearing the birds sing, the wonderful fresh smell of the laundry and the quiet voice of my mother. 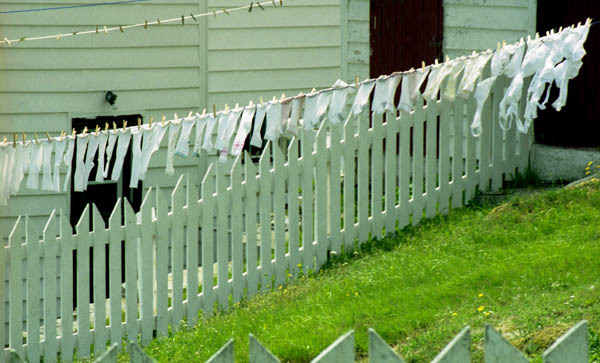 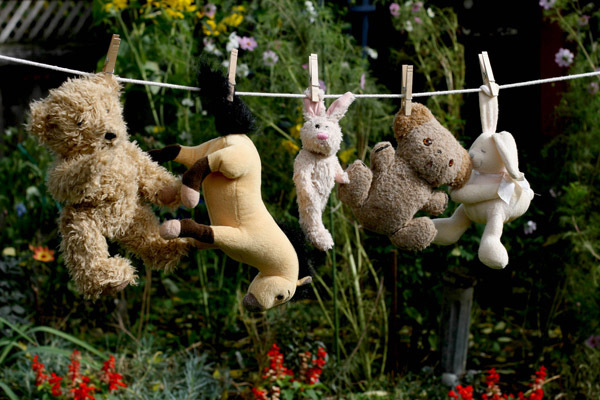 Remembering this simple activity of "hanging out the laundry" also brought back such a feeling of peace and calmness. 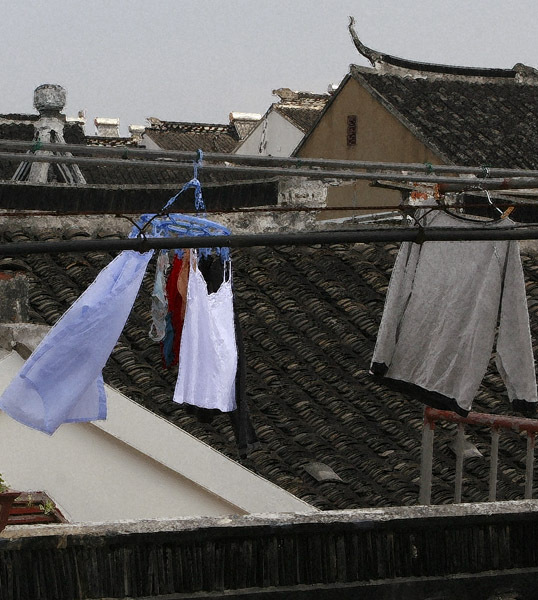 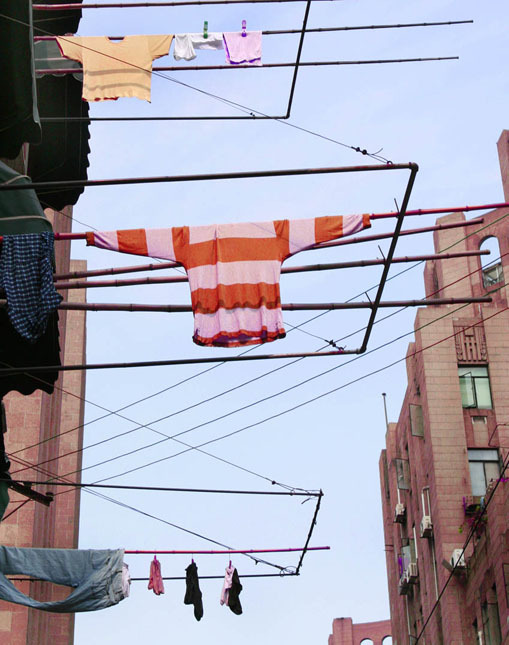 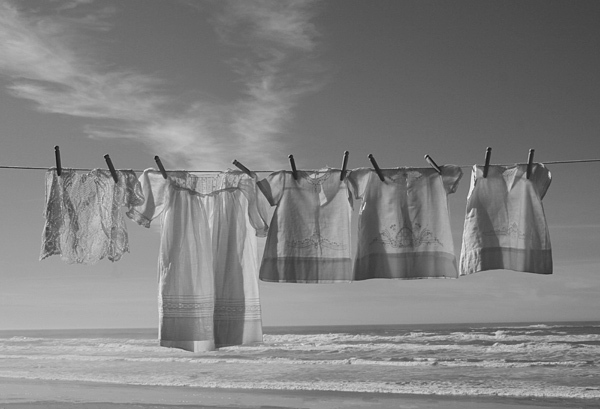 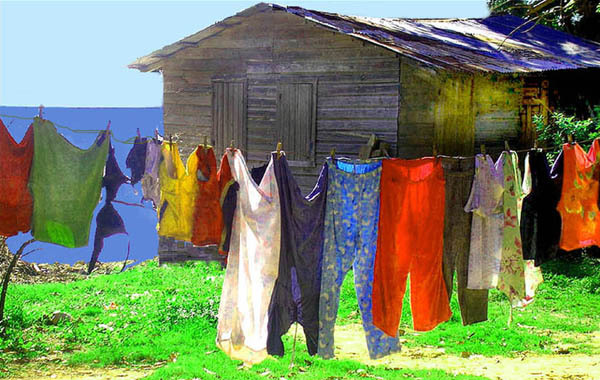 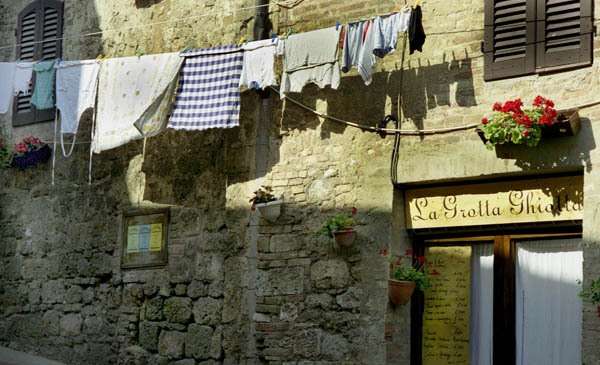 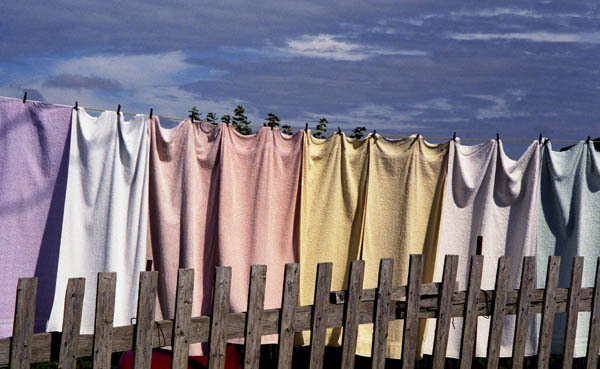 I've often wondered if the person who hangs the laundry that I've captured around the world, experiences the same peace.